Ita��s been a while since radio units have been waiting for the authoritiesa�� nod to air news and current affairs. It will be interesting to see what parameters will be set to dish out news, and who will be in charge of overseeing the new path that privatised channels will be venturing down. Surely news agents and journalists will find a good spot on the medium. The question, however, is whether the news given out to the consumers will be just the headlines or if there will be multi-panel discussions over issues that are current. In the past, the fear behind news being on radio was the mediuma��s proximity to its listeners and that sensitive issues, if discussed, could be misunderstood, leading to unwanted situations. Obviously, the ministry has thought about these factors and more, and when the green signal is given, it will be a small step towards making listeners take the medium more seriously. Wishful thinking would suggest that, in a few years, stations would adopt a new format that would mirror TV news channels. If that were to happen, it would give birth to a brand new breed of radio presenters who would be professionally equipped to handle or discuss news with a journalistic bent of mind and be armoured with enough sensitivity to protect the listenersa�� feelings. A lot of stations would probably stick to their own format of programming, with a sprinkling of news and current affairs, but a few would surely opt to go the a�?news worthya�� way. The second decade of privatisation will be the turning point, especially when it comes to the mediuma��s maturity. 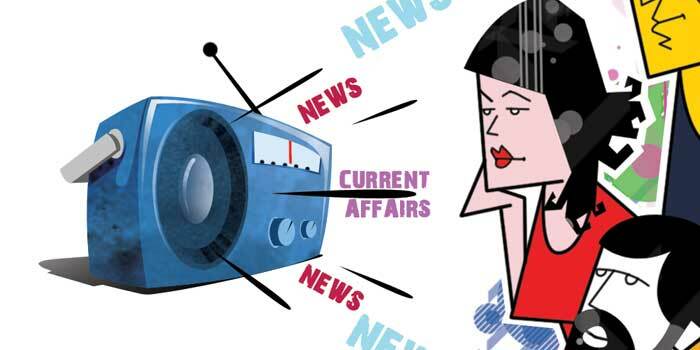 News and current affairs on radio will be a fresh new start and will be welcomed if done professionally. In the past, Sanjay Pinto has shown us how ita��s done and what response it can achieve. So herea��s hoping that this new beginning for the radio comes sooner than later. See you next week! a��A�The writera��s views expressed here are entirely in his personal capacity.